You can go to space….school! 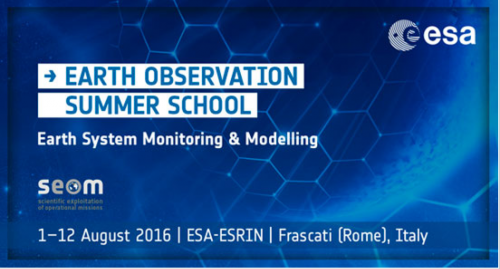 As 1 of 60 students at Earth Observation Summer School in Frascati (Rome), Italy, you will enjoy 2 weeks of learning and sharing. The European Space Agency (ESA) is inviting young researchers to join leading experts in Earth Observation, Modelling and Data Assimilation for keynote lectures, hands-on computing practical and poster sessions on the occasion of the 8th ESA EO Summer School. 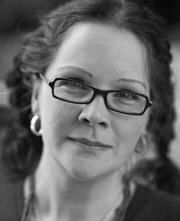 I’m delighted to share about crowdsourcing, microtasking and building research programmes. Applications are open until APRIL 6th, 2016. The two-week course, held in ESA/ESRIN (near Rome, Italy) during August aims to provide students with an integrated end-to-end perspective going from measurement techniques to end-user applications. Courses include lectures covering issues related to Remote Sensing, Earth System Modelling and Data Assimilation as well as hands-on computing exercises on the processing of EO data. Students have the opportunity to present their work during a poster session. The three best posters will receive an award from the European Meteorological Society (EMS). Keynote lectures on global change issues are also given to discuss the current state of the science of global change and its relationship to society in order to help students appreciate how their specific field fits into a broader scientific and political context. For more information, please see previous programme, news or video.